Flatbed devices almost universally use ultraviolet (UV) inks, or inks that cure by exposure to ultraviolet light. Traditionally, UV curing has been done using mercury vapor lamps, but the past several years have seen an “ink migration” to cold curing, or UV inks that cure under exposure to LED lamps. The advantages of LED UV curing are less heat (mercury vapor lamps can run very hot), and less energy needed to run them, energy that’s wasted in the form of all that heat. LED also allows for printing on very thin plastic materials that may warp or discolor when exposed to hot curing lamps, although a good vacuum system can help avoid warpage when using thin substrates regardless of heat. Durst Imaging’s Rho 1000 flagship series comprises the 282-inch (7.2-meter) Rho 1012/1312 and 1030/1330, UV flatbeds whose ink sets include CMYK plus light magenta and light cyan, as well as orange and green or orange and violet, to hit the gamut of brand and Pantone colors. The 1012/1312 boast higher resolution than the 1030/1330, while the latter ups the speed to as fast as 1,250 square meters per hour. The 1000 series complements the industrial-level Rho P10 series, consisting of the 200/250 and hybrid 200/250HS, the HS models being hybrids. These 154-inch (3.9-meter) machines offer ink sets that include CMYK plus light magenta and light cyan, white, and a “Process Colour Addition (PCA),” and are targeted toward indoor and outdoor signage and POS/POP, as well as packaging and backlit applications. 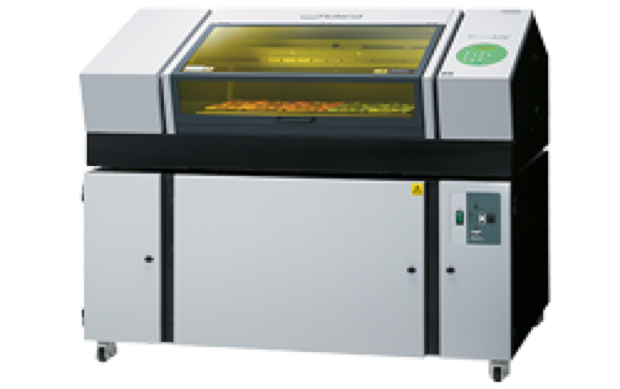 The Durst Rho 1030 offers fully automated production. Historically, Inca Digital launched the flatbed printer category more than 16 years ago with the Eagle, and introduced the Inca Onset X flatbed inkjet printer line in Fall 2015. The following fall saw the launch of the 127-inch (3.2-meter) Inca Onset X3, the fastest model yet in the Onset series, said to print up to 9,600 square feet (180 boards) per hour. Colorwise, it supports CMYK plus white or orange. Inca Roads—The Onset X3 is the fastest Onset yet. Inca flatbeds are distributed by Fujifilm, which has its own longstanding series of flatbeds, namely the Acuity series. The latest entry, introduced last year, is the 49.6-inch (1.25-meter) Acuity Select HS 30, said to print at speeds of up to 620 square feet per hour. It can print on a wide range of substrates up to two inches thick. It print six colors (CMYK plus light cyan and light magenta, plus white or clear). Last year, Fujifilm also introduced the latest in the Uvistar line, the Uvistar Hybrid 320, a 127-inch (3.2-meter) hybrid flatbed/roll-to-roll printer with speeds said to be up to 2,100 square feet per hour, and supports CMYK plus light cyan, light magenta, and orange. 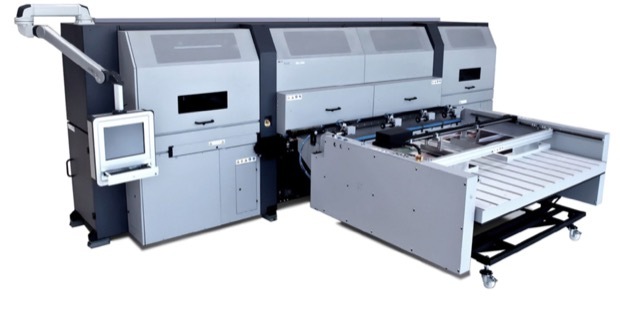 As of late, Fujifilm has been touting its new Fujifilm Inkjet Technology (FIT), a combination of inkjet printheads, fluids, and software based around the company’s Samba single-pass piezo printheads and Uvijet inks. Using a broad variety of inks and color management software, the goal of FIT is image optimization, speed, and flexibility. In 2016, Canon Solutions America (CSA) launched two new Océ Arizona series of wide-format UV flatbeds. The Océ Arizona 1200 series includes the 49-inch (1.2-meter) GT and 121-inch (3.1-meter) XT models. The 1240 prints up to four colors, the 1260 up to six colors, and the 1280 up to eight colors. 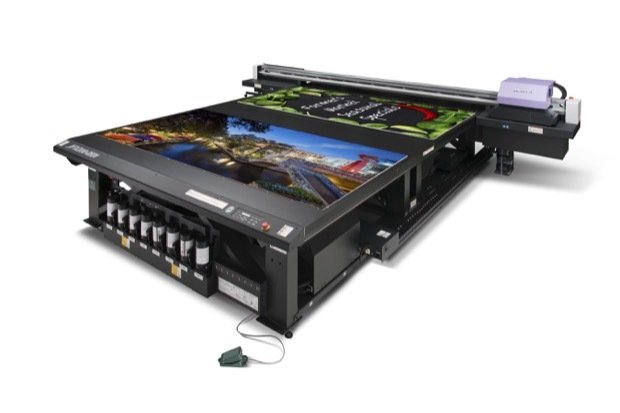 The Arizona 1200 series printers are mid-volume flatbeds targeted toward sign and display shops, specialty printers, and photo labs. Also in the mid-volume production category, CSA also introduced the Océ Arizona 2200 series, also available in GT (49-inch/1.2-meter) and XT (121-inch/3.1-meter) models. The 2260 is a six-color machine and the 2280 is an eight-color machine. The primary difference between the 1200 and 2200 series is speed; the 1200 XT units top out at 377 square feet per hour and the 2200 XTs at 691 square feet per hour. 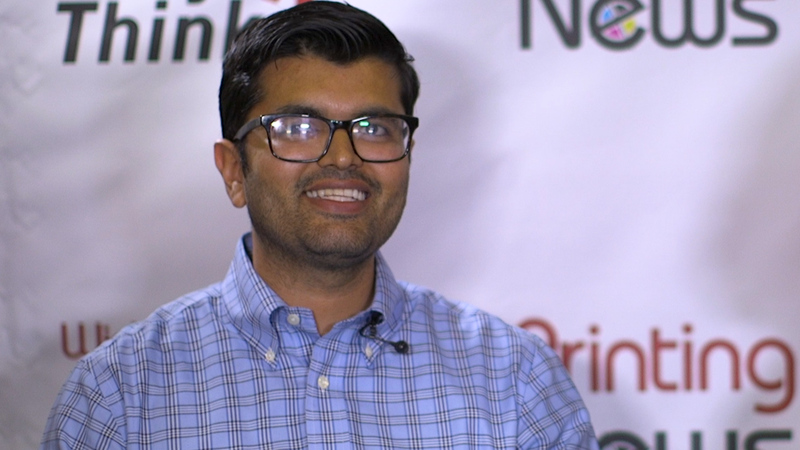 These new mid-volume printers fit between the entry-level 318 GL and 365 GT, and the top-of-the-line 98.4-inch (2.5-meter) Océ Arizona 6100 series, comprising the six-color 6160 XTS and seven-color 6170 XTS. 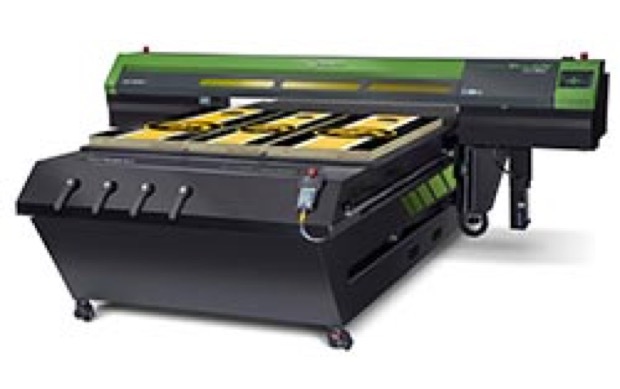 The 6100 series can print up to 1,668 square feet per hour. The Océ Arizona 6100 series is Canon Solutions America’s top-of-the-line flatbed line. In 2015, Roland launched its first flatbed model, the VersaUV LEJ-640FT LED UV flatbed. It uses Roland Eco-UV inks, which include gloss and white for special effects and textures. It can print on flexible or rigid substrates up to 63.2 x 98 inches (1.6 x 2.5 meters) and 5.9 (0.15 meters) inches thick. 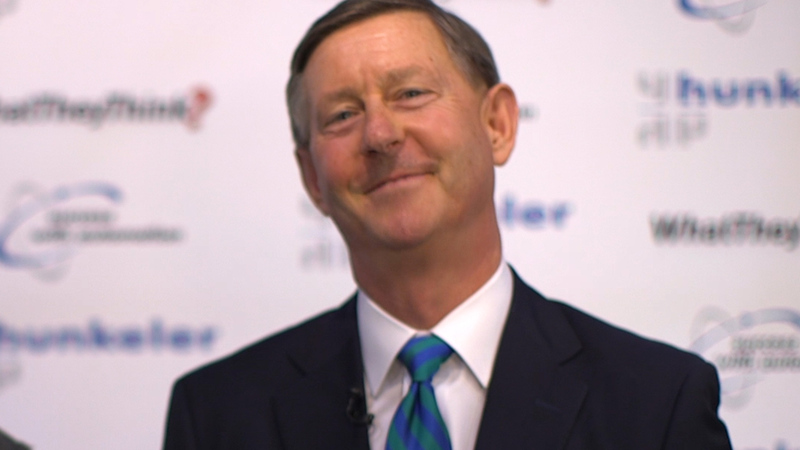 Attendees to the SGIA Expo in 2015 may have seen it printing on footballs. Roland also offers the 64-inch (1.6-meter) hybrid VersaUV LEJ640. A few years ago, Mimaki launched the 82.7-inch (2.1-meter) JFX500-2131 flatbed LED UV unit, said to print up to 675 square feet per hour. Last year, it was joined by the JFX500-2131, a smaller footprint version. Both can print CMYK plus white, clear, and a primer for substrates that require it. Last year, Mimaki announced the 98.4-inch (2.5-meter) JFX200-2531, which doubles the print area of its predecessor, the JFX200-2513. 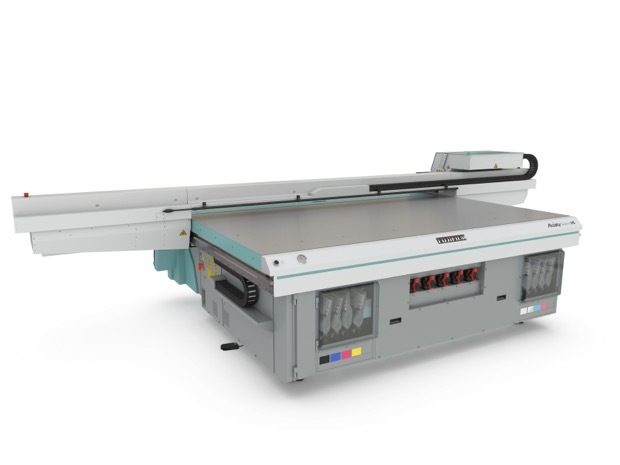 Agfa Graphics’ latest UV flatbeds are the 106.3-inch (2.7-meter) Jeti Mira MG 2732 HS and the 98.4-inch (2.5-meter) Jeti Tauro H2500, the latter of which gained an autoboard feeder last year, while the former gained a new roll-to-roll option. In other Agfa hybrid flatbed/roll-to-roll news, the Anapurna H3200i LED UV printer is also a hybrid; other Anapurnas include the Anapurna H2500i and H2050i (in Agfa nomenclature, H stands for hybrid and RTR for roll-to-roll.) You may recall from last November that I was very much taken with Agfa 3D Lenses, a way of printing lenticular images on the Jeti Mira using a software suite and clear varnish. 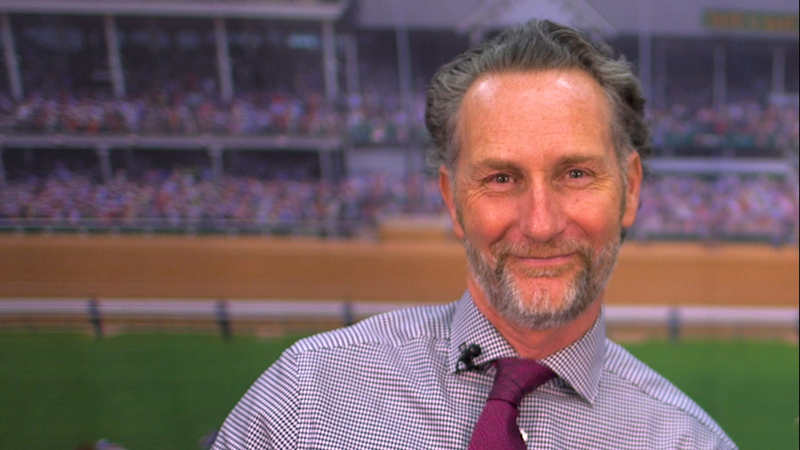 EFI has had a lot of irons in the fire as of late—especially post-Reggiani—and has been concentrating on the hybrid market. 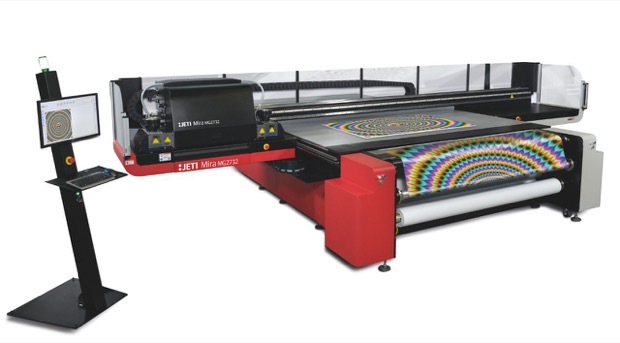 In 2015, the company launched the 126-inch (3.2-meter) hybrid VUTEk HS125 Pro also launched the entry-level 64.9-inch (1.65-meter) hybrid EFI H1625-SD UV printer, which comes with EFI SuperDraw UV ink for near-photographic imaging on thermoformable substrates. EFI has an extensive number of in its entry-level EFI and mid-range and high-volume VUTEk lines. EFI has been a strong proponent of LED curing and virtually its entire portfolio is now LED-based. I include in the flatbed printer category “benchtop” or “tabletop” UV printing units, which are designed for specialty printing applications, such as 3D objects like pens, golf balls, smartphone cases, and even cylindrical objects like water bottles and YETI cups. Roland has long offered its tabletop VersaUV LEF-12 and LEF-20 UV printers, and last year the company introduced a big brother: the VersaUV LEF-300 Benchtop UV Flatbed Printer, which can print directly on 3D objects up to 3.94 inches thick and 30 x 13 inches wide. It is also capable of higher-capacity runs than its smaller siblings. Last week, Roland announced the next-generation of LEF-20, the VersaUV LEF-200, a 20-inch benchtop UV printer that prints CMYK plus white and gloss. The gloss channel can be replaced by a new primer option, for those unusual substrates that require it. Roland also upgraded the LEF-12 with the new 12-inch VersaUV LEF-12i, which also adds the new primer option. Roland also recently added its RotaPrint add-on accessory for the VersaUV tabletops, which supports printing on cylindrical objects. 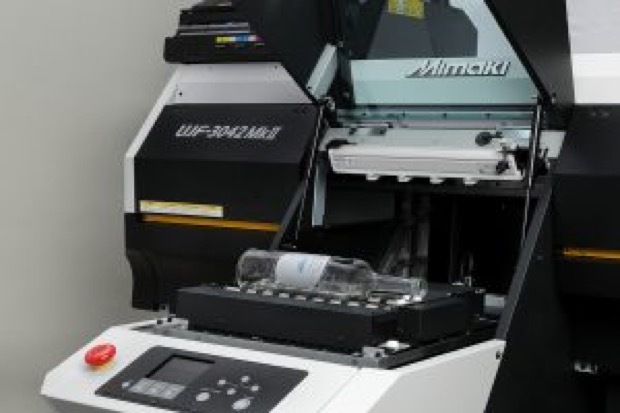 Last year, Mimaki launched the UJF-7151 flatbed printer designed for specialty printing onto substrates and 3D objects up to 28 x 20 inches (0.71 x 0.51 meters) and up to six inches thick. This unit joins the UJF-3042HG and the UJF-6042 tabletop units that, with an accessory called a Kebab, can print on cylindrical objects from 30 to 330 millimeters long and 10 to 110 millimeters in diameter. Mutoh also has a line of tabletops, including the 19-inch ValueJet 426UF UV LED, capable of printing on a variety of 3D objects up to 2.75 inches thick and targeted at the packaging prototyping market. These join Mutoh’s hybrid UV LED printers, the 64-inch (1.6-meter) ValueJet 1617H, ValueJet 1626UH, and ValueJet 1638UH printers. The former uses Mutoh’s UV Alternative Bio-Based Ink, while the latter two use LED UV inks. HP has been fairly quiet on the Scitex flatbed front as of late, but in 2015 launched the 64-inch (1.6-meter) HP Scitex FB550 and 120-inch (3.0-meter) FB750. The HP Scitex 11000 series industrial press has replaced the 10000 platform. I’m not inclined to include corrugated equipment in the flatbed printer category, but do want to at least mention in passing that the HP Scitex 15500 and 17000 are two of HP’s corrugated inkjet presses, while at last year’s drupa, EFI announced its own Nozomi C18000 single-pass corrugated press, while Durst announced the Rho SPC single-pass corrugated and label solution. Also at drupa, Screen and BHS Corrugated announced a partnership to develop the BHS Corrugated Inline Digital Printing Solution. Flatbed printers are one of the most exciting areas of the wide-format market since their killer app is that they can print on virtually any surface (although, it needs to be stressed, not “right out of the box”; sometimes the surface needs to be pre- or post-treated) which makes them ideal for all kinds of high-margin specialty printing on unusual substrates. Ink layering and varnishes can impart textures or other 3D effects, as well as print Braille. You’ll want to get a sense of the ink cost and printing time before embarking on these kinds of projects, however. As always, the first question to ask when shopping for a flatbed is, what do you want to print? Large POP and other rigid display graphics? Smaller ad specialties like smartphone cases? A mix of as many different product types as possible? That will determine what size machine you’ll need. Remember, you don’t need a specific benchtop unit if you want to print 3D objects; any flatbed will do, you’ll just need additional accessories, which will be less expensive than buying a whole separate unit. Perhaps the biggest question before you even look at models is, do you have room for a flatbed in your current shop? If not, can you justify acquiring extra space to house it? 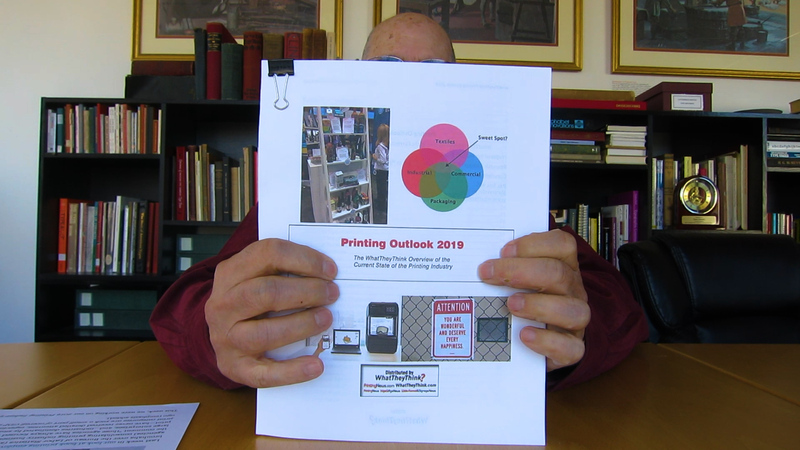 Interestingly, we found in our WhatTheyThink Business Conditions Survey (the results of which are provided in our new Forecast 2017 special report) that 15% of mid-size printers planned to invest in a flatbed UV printer, and 14% said that they were planning to invest in “additional space/new location.” Correlation is not causation, of course, and we don’t know to what extent they’re the same 14% to 15%, but, you know, these devices can get pretty big. Just sayin’. Another question to ask is the flip side of one I suggested when looking at rollfeds: do you need roll-to-roll printing as well? Hybrids are good options if you plan to have a mix of flexible and rigid substrates, but get a sense of what the ink costs are likely to be. UV inks can be more expensive than other kinds of inks, so if you have a much higher volume of things like vinyl graphics, you may be better off with an ecosolvent machine. As I had advised in last week’s rollfed roundup, pay attention to “under the hood” kinds of issues, such as the specifics of the warranty, what it covers, how long it lasts, and if there are things that might nullify it, like using third-party inks, replacing a printhead, or damaging the heads by printing on unusual or downright wacky materials or objects. Especially with flatbeds, find out what kind of training may be involved.